The most common cooling system in Charlotte homes and businesses is the traditional central air conditioner. These units are reliable and typically last longer than adecade. Maintenance is simple, as manufacturers recommend just one annual tune-up along with periodic air filter changes. A programmable thermostat controls the temperature automatically, with little interaction required. A properly sized unit removes humidity while cooling the air to keep the indoor climate comfortable throughout the summer. There are a few drawbacks to central air condiitoning. It can be expensive to install new ductwork in older buildings, especially if space is limited. Older, poorly maintained equipment loses efficiency and can push summer utility bills sky-high without keeping the space comfortable. The existing air conditioning systems are unlikely to be able to handle the added workload after a home addition project such as converting a garage to a living space. In Charlotte’s mild climate, a heat pump is a great option for heating and cooling, especially if natural gas isn’t available to the property. 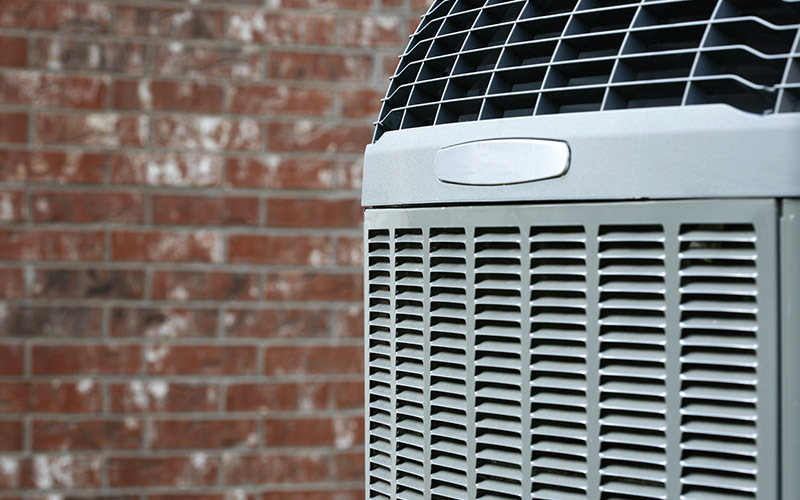 Like central air conditioning systems, heat pumps use programmable thermostats and ductwork. Heat pumps offer better efficiency than other electric heating methods, though. These systems operate reliably throughout the year with little maintenance. They also excel at removing excess moisture from the air and can warm a space even when the outside temperature drops below freezing. Because heat pumps run all year long, they can have a shorter operating life than separate heating and cooling units. The most efficient models carry a higher price tag, but some of the cost is due to the dual-function nature of the equipment. The cooling functions of a heat pump are comparable to central air conditioning systems, but the heating function can take some getting used to. Gas furnaces blast hot air that creates a warm breeze in the space; heat pumps release air that feels cool to the skin but is still warm enough to raise the temperature indoors. Portable and inexpensive, window AC units are a good choice for people who need a temporary cooling solution. Window air conditioning can be installed quickly to cool a single room and provide immediate relief from the heat. They’re suitable for spaces without ductwork, and they don’t require any holes in the walls. Unless you’re renting your space or have other specific needs, there are likely better cooling options. Window units may be inexpensive, but that can bring complaints about quality, reliability, noise and efficiency. The system blocks the view from the window, allows warm air in around the unit and may compromise the security of the building. If you have some extra money to invest and own the building, consider ductless air conditioning systems instead. These units are professionally installed and highly efficient. They don’t block the window or create a security risk, and multiple units can be zoned to cool larger spaces. Whether you’re interested in a central air conditioning system, a heat pump or a ductless AC unit, Air Today has the excellent service and top brands you need. For recommendations on an air conditioning system to suit your needs, contact Air Today by calling 704-893-1230. We work hard to keep you comfortable.